This is the flagship Blue to Gold Course. This course is designed for experienced law enforcement officers who already possess a background knowledge and functional experience in search and seizure law. 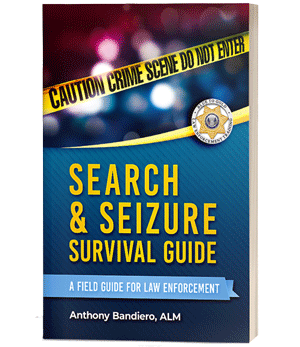 The instruction is advanced and fast-paced and uses case studies to explain the development and the current status of the legal aspects of searches and seizures. Applying proper “decision sequencing” so that evidence is not suppressed. The course provides 8 or 16 hours of instruction. 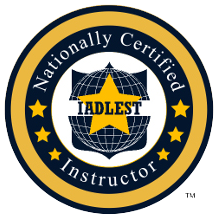 This course is only offered as live face-to-face classroom instruction. Students receive a completion certificate and the latest edition of the Search & Seizure Survival Guide. Thank you! We have received your information and we will respond within twenty-four hours . This course takes approximately 1 hour to complete and provides a refresher on the legal aspects of electronic surveillance.